The drive through the awesome Ogden Canyon is inspiring, as rapids roll by on the river beside the roadway, waterfalls thunder onto granite surfaces, then the valley opens out to lake and mountain views that you only dream of. 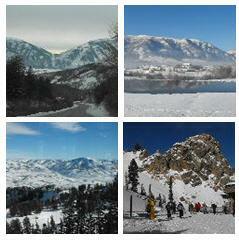 The three ski resorts in close proximity are world class and it was hard to pick which one we would start with. 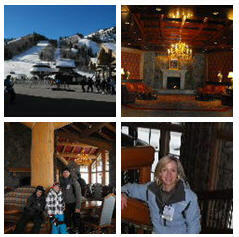 Our family thoroughly enjoyed Snowbasin, a 15 minute drive from Eden and THE most opulent Ski Lodges I have ever seen. Awesome downhill skiing for all classes of skiers and we found out it is a base for our Australian Women’s Ski Squad. 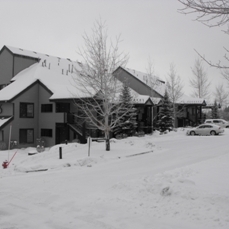 The resort is a beautifully appointed set of apartments in groups of about 10 or so, that have great mountain and valley views. Privacy is great and there is a well equipped gym and other facilities to give you choices. The main areas of Ogden and Salt Lake City are an easy drive away, where there are many things to see and do. The choice is yours. We thoroughly enjoyed our break there and have these awesome pictures to bring back the memories. Thanks WorldMark. This entry was posted in International and tagged holiday, Salt Lake City, skiing, travel, USA, Utah, vacation ownership, worldmark, Wyndham Resorts. Bookmark the permalink.